Integrating Financial Security Services: What Difference Does It Make? Part 4- Is the Impact Worth It? If you talk to anyone providing workforce development services, you quickly hear their strong desire to make a difference. They are passionately focused on better results for the individuals they serve — skills, credentials, job readiness, long-term employment in quality jobs, family-sustaining wages. With the many issues and challenges faced by job seekers or those in low-paying jobs, providing workforce services is hard work! Integrating financial coaching and related services into existing programs — and the time and learning curve associated with that — can appear daunting. Naturally, and understandably, it begs the question: Is it worth it? Does it really make a difference? Equally important, workforce practitioners emphatically say that it makes a difference! Issue Brief #4: Is the impact Worth It?, by CSW and The Financial Clinic, highlights results experienced by organizations that are part of the Clinic’s WorkBOOST NYC ecosystem in New York City. Workforce practitioners in the Dallas-Ft. Worth region are participating in a similar initiative to integrate services sponsored by the Communities Foundation of Texas — the Working Families Success Network of North Texas[ii]. 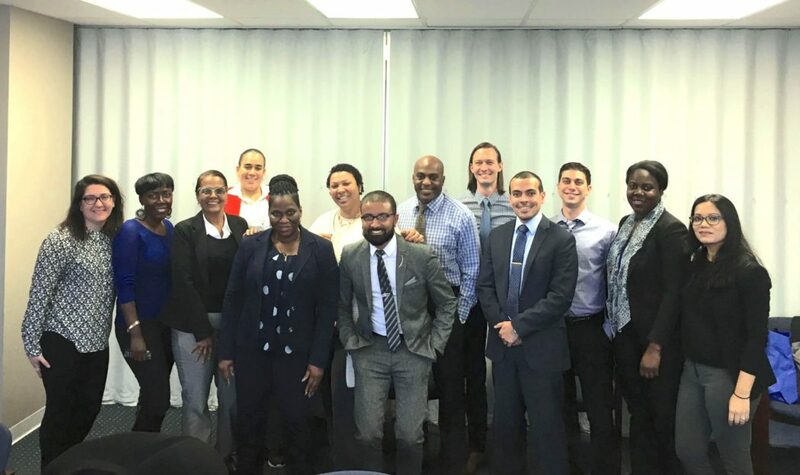 They echo the positive WorkBOOST NYC experience, with such first-year results as a 76% higher average starting wage for those receiving the most intensive integrated or bundled financial services. As Celena pointed out, integrating financial coaching into their workforce services has changed her organization’s whole view of “are we making a difference?” It’s not enough to know that someone has obtained or stayed in a job. They’re also now focused on what it will take to help that participant gain the tools for a lifetime of financial security. To learn more about this topic, see Issue Brief #4: Is the Impact Worth It? Integration Has its Challenges, But It Can Be Done! Part 3 - What about roadblocks? The author, Dr. Seuss once said, “How did it get so late so soon? It's night before it's afternoon. December is here before it's June. My goodness how the time has flewn. How did it get so late so soon?” Seuss’ melodic rhyme expresses how many workforce professionals feel about the bandwidth they have for completing their everyday workload. 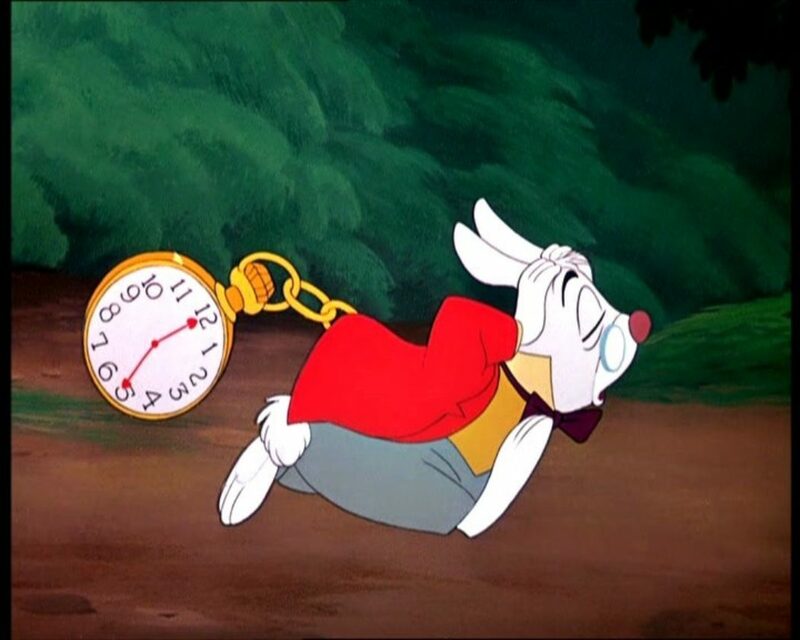 This tension brings images of the White Rabbit from Alice in Wonderland running around frantically because he never felt he had enough— time. Integrating financial security services into workforce development programs can pose some challenges, of which time is one. Other barriers like inadequate client support tools, inconsistent data collection to accurately monitor progress, and processes and procedures that help sustain integration. But these challenges can be met, and in many cases without significant extra costs and extra, precious— time! When resources and staff capacity are tight, adopting strategies that promote efficiencies while resulting in effective outcomes is critical. The most impactful outcomes will serve a dual purpose: improving financial security while also boosting career mobility. Integration of workforce and financial security activities should be thought of in its ability to be applied to a wide scope of new and pre-existing programs, as well as the ease of implementation and documentation. According to a 2017 CSW special survey of Workforce Benchmarking Network and The Financial Clinic’s WorkBOOST NYC sites, programs that provide both workforce and financial security services to over 75% of their participants found important shared outcomes for the people they serve such as addressing wage garnishments, reviewing credit profile, and establishing a bank account for paycheck deposits. Overcoming integration challenges can produce life changing outcomes for clients. Imagine a job seeker with a disability. Workforce staff will better serve them if they understand how the Social Security Administration allows beneficiaries access to jobs without risking eligibility. Think about the young person seeking their first job. Providing upfront information on check cashing fees, along with the type and amount of taxes taken out of their pay, can help them make more well-informed choices and build realistic expectations. Consider a divorced father who has been laid off and is struggling to make child support payments while searching for a new job. Staff knowledgeable on the wage garnishment process and individuals’ rights can provide that client with key information for decision-making. The way in which new integration activities and strategies are presented is key to garnering staff buy-in. Embedding efforts into current service delivery models and staff development can make the integration of financial activities feel more like a part of the natural workflow, instead of an additional task for staff. This approach works the same way for job seekers as well. For example, by learning to perform online follow-ups on credit reporting inquiries, clients can strengthen financial security skills while building transferable workforce skills like basic computer navigation and research skills for job searching. Integration has its challenges, but it can be done. Having leadership support and a point person (or people) with responsibilities dedicated to the integration process, can help make these changes and improvements more seamless. And ultimately save much needed — time! To learn more about this topic, see Issue Brief #3: What About Roadblocks? There’s more than one way to effectively integrate! Part 2 - How to Integrate. Written by Jared Marling, Assistant Director of Capacity Building |The Financial Clinic. The following blog is the second of a five-part series co-written by Corporation for a Skilled Workforce and The Financial Clinic. The concept of integrating financial security strategies into a workforce development program sounds like a great idea, right? There are benefits that staff and participants alike can seize, and this is clear even at a quick glance. But when the rubber meets the road and it comes time to integrate these strategies, the theory may appear less attractive and more like a hassle. Lots of questions may surface at this point: When can we find the time for this work? How can our team build the needed expertise? What can we say to participants to help them see the value of taking on these strategies? These questions often spiral into seemingly insurmountable barriers that hinder successful integration after it has already begun. While these are valid questions and concerns, they all stem from one myth that is often assumed to be true: there is only one right way to effectively integrate financial security services into workforce development programs. There is actually a wide spectrum of approaches that organizations or programs can take to integrate financial security services into their workforce development programs. There are seed planting strategies, where staff members or coaches open the conversation about finances, introduce tools, or simply set expectations for future (often external) financial coaching conversations that participants will have. There are then the light-touch strategies, where staff members or coaches cultivate these seeds and encourage participants to take the first practical steps towards building their financial security. Finally, there are high-touch strategies. These are the most in-depth coaching conversations, which support participants in taking on the biggest obstacles to their financial security. While some organizations pursue strategies in just one of these categories, many pull elements from a few or all of the categories to make a plan that works for their team and their participants. While we won’t dive into all the elements of these strategies here (check out Issue Brief #2: How Can You Do It? for more specifics), let’s highlight some examples from one organization that The Financial Clinic partnered with in 2017 and 2018, Grant Associates. Grant Associates is one of the nation’s leading workforce development organizations and the Clinic supported 16 of their programs in integrating financial security services. The approaches across the programs were very, very different. Let’s take a look! Seed planting strategies… One Grant Associates program that serves four NYC boroughs completed a financial capability assessment with nearly 4,000 participants and set the expectations for more in-depth financial coaching conversations. Nearly 700 of these participants also set financial goals at this time -- a proven driver in future financial success. While these strategies alone go a long way to empower participants to start taking action and build their financial security, they also set the stage for fruitful conversations with other coaches that participants encountered later in the program. In fact, a large percentage of these participants have now taken advantage of the support of career and retention coaches for more in-depth services, such as pulling and reviewing credit reports or developing spending and savings plans. A few of the other programs also incorporated these types of seed planting strategies into the very early steps of their programming by distributing interactive financial worksheets and tipsheets to participants and promoting exciting programs and products that participants could pursue. This established a solid foundation for next steps in many cases - a great strategic example of making the most of low-hanging fruit that any program could easily adopt. As another example, a program in Maryland shared the tremendously compelling story of a young man living in a shelter after being kicked out of his home. This young man secured part-time employment through the program and is now well on his way to a full-time position. Throughout this process he participated in several light-touch financial security strategies: he reviewed and improved his credit report and score, he opened a savings account, and he has been consistently building his savings by depositing paychecks in the bank each week. He is committed to building a better life for himself and is currently in the process of finding an apartment of his own. These financial security strategies have been crucial to his success. She is on her way to being debt free by early 2018 and this stems from the in-depth supports that she experienced as a part of the comprehensive workforce development program in Brooklyn! The possibilities for how a workforce development program integrates financial security strategies are endless. The key is to understand your participants’ needs and your team’s bandwidth, and to land on the right mix of strategies. There is not just one right answer! To learn more about this topic, see Issue Brief #2: How Can You Do It? Please Allow Me to Introduce: Change Machine's New Director! Peter Olivier joined The Financial Clinic in December 2017 as the Director of Product Management. In this role, Peter leads the design and development of the Change Machine platform. Prior to joining the Clinic, Peter spent two years in working in microfinance before joining Endeavor, a New York-based nonprofit that works to support entrepreneurs building and scaling companies in emerging markets. There, he evaluated companies from 20 countries and managed the organization's selection process before moving into a product management role and designing and launching an online platform for the network's entrepreneurs and mentors. He then joined Agora for Good as Chief Product Officer and oversaw the launch of a platform for effective philanthropy. Most recently, Peter had the pleasure of being a stay-at-home dad. Peter holds BAs in International Relations and Spanish from Tufts University. He lives in the Hudson Valley, and spends his time cooking and eating with his wife, dreaming up startups with his friends, and carrying his son around on his shoulders. Financial Insecurity: A Barrier to a Jobseekers Success. A young woman is enrolled part-time in community college and looking for a job to help pay for her student expenses. Given her family's financial situation, she's unsure of how a job might affect her mother's eligibility for food and housing assistance or her family's tax refund when they file. She knows that her job will help with expenses and saving for college, yet she also wants to know whether she's harming her family's net financial situation in the process. These are difficult issues for anyone to navigate, made more challenging when you don't have access to financial coaching. This is just one example of how the financial instability of many unemployed and working poor people can be a barrier to success, even as they are attempting to better their situations. Workforce development program participants often face financial challenges ranging from having poor credit ratings, being credit “invisible” or “unscorable” with insufficient credit history, debt, and no savings. Financial emergencies such as a car breaking down, a high utility bill, or a surprise medical issue can keep them from participating in education and training programs and staying employed. Financial insecurity can hinder an individual’s ability to complete education and training programs, obtain employment, and keep their job. When jobs go unfilled in concurrence with so many people confronting employment challenges, this creates a barrier to economic mobility that’s important to understand and address for families and communities across the country. Leading workforce development organizations nationally have a strong history of providing financial security services to their program participants. The Corporation for a Skilled Workforce/The Financial Clinic Issue Brief series, When is More Not Extra? further explores how integrating these services into workforce development programs can achieve greater impact and accelerate outcomes. Our research from both the national Workforce Benchmarking Network survey and a survey of The Financial Clinic’s WorkBOOST NYC partners validates that programs who integrated financial security strategies into their core services showed higher rates of achieving workforce outcomes than programs that did not offer financial services. This includes improvement in both employment and financial outcomes for participants who received a combination of services to help them gain skills to find employment and the financial knowledge to retain jobs long term. We hope this research is useful to organizations and communities currently rethinking their approach to workforce development services and financial literacy education. We see great opportunity in 2018 for learning and experimentation with others who want to help individuals achieve better employment outcomes and improve financial behaviors in service of real economic progress. To learn more about this topic, see Issue Brief #1: Why Should We Integrate? When is More Not Extra? Effective Strategies for Financial Security. Getting a job is more than just matching resumes and position descriptions. For workforce programs, helping jobseekers gain the skills they need to find and grow in good jobs is hard enough: Participants' financial insecurity can make it even harder. Poor credit profiles, little savings, lack of a bank account, and wage garnishments pose real and significant challenges for jobseekers and those moving up the career path. What are effective and simple ways to address this challenge? More focus on financial security may not mean a ton of extra work. The Financial Clinic and the Workforce Benchmarking Network of Corporation for a Skilled Workforce (CSW) are releasing a set of issue briefs to examine how basic financial security activities for workforce programs connect with better workforce outcomes. 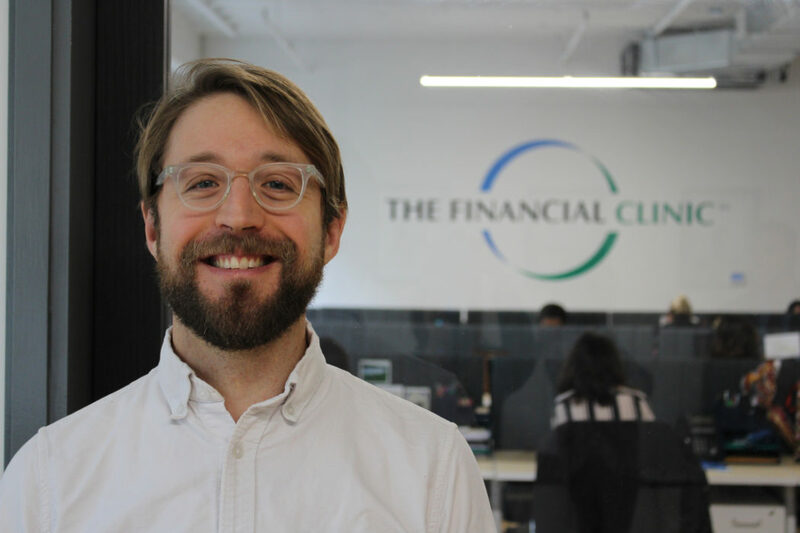 The briefs discuss simple ways of integrating those practices into existing services, using results from the Clinic’s recent financial security ecosystem, WorkBOOST NYC, as a holistic model for future replication. Download the full set of issue briefs here. “I get by with a little help from my friends.” Or a lot. Financial coaches are amazingly versatile in their ability to support customers in any area where they find a financial barrier. Yet, there was no way to broadly apply that knowledge to the field. Until now! Change Machine’s SHARE is an online community of over 1,000 practitioners nationwide. Financial coaches can get their toughest questions answered, share best practices and pertinent news, and celebrate success stories. Financial coaches deserve the same level of support that they provide to their customers every day. Change Machine seamlessly bridges skills training with data collection with service delivery with a strong community of practice. We give coaches and programs the freedom to concentrate on what really matters -- building financial security for themselves and their communities. We want to help you find the ideal balance of Change Machine's available platforms that fits in with your program design. Our varied subscription levels ensure you have the resources you need to complete your unique vision of social service. 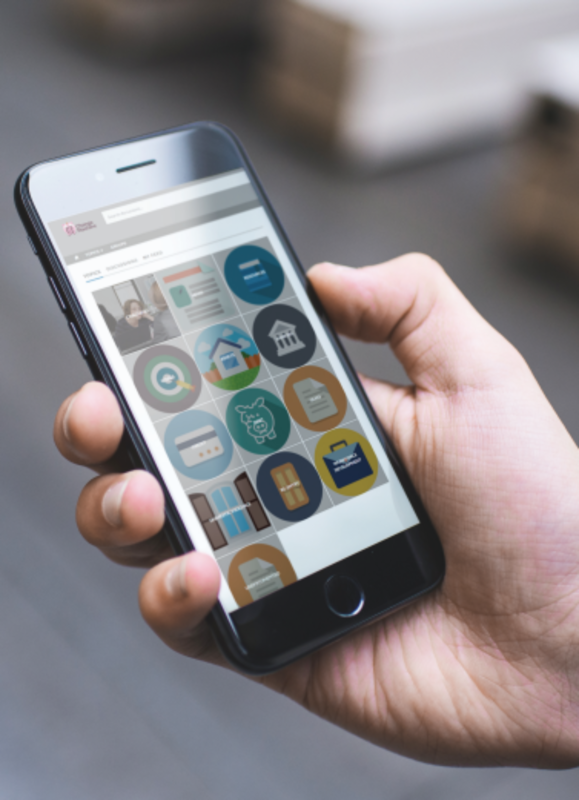 Read below to learn how Wesley Mission Center, LIFT-DC, and University Neighborhood Housing Program (UNHP) are making the most of their Change Machine subscriptions - you may be inspired by a new idea for using the platform, we know we were! We've splashed a fresh coat of paint on the Help Center, a self-service resource for users of Change Machine! Not only is it speedier, it's now easier than ever to get an immediate answer to something you need help with. Use the search bar at the top of the Help Center, type in a search term, and watch as the relevant articles get pulled up. Happy National Financial Goal Day! 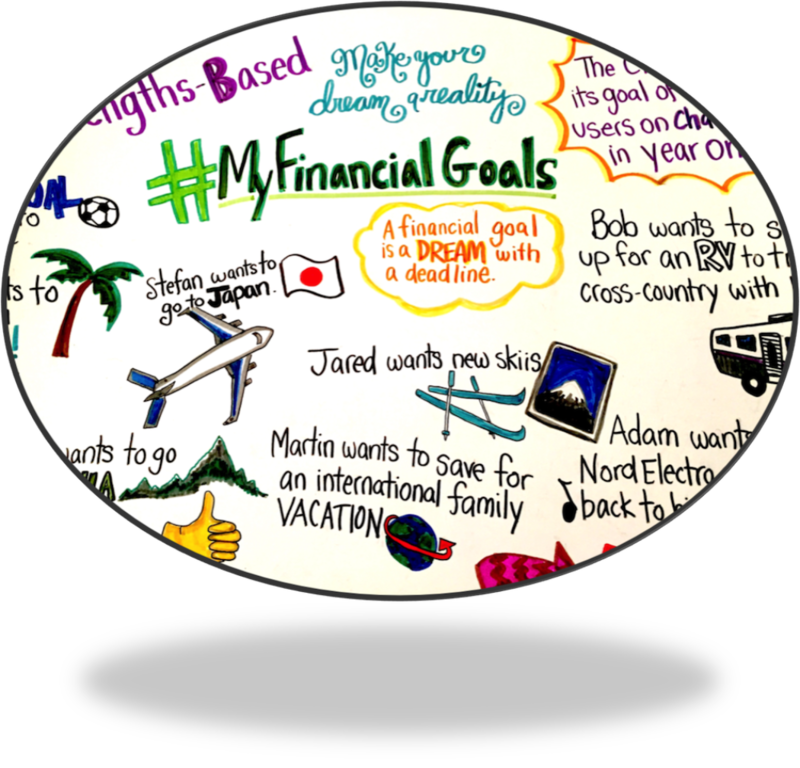 Why National Financial Goal Day? Did you know that customers who achieve their financial goal are 4.5 times more likely to achieve a financial security outcome?! Last year on National Financial Goal Day, we launched Change Machine - this year we celebrate the goals it has helped create: nearly 400 Clinic customers have achieved their financial goals, with a 15% improvement in cash-value returned! Comment below and join us through the day on SHARE, Facebook, and Twitter for a virtual party! Don't forget to register your goal - the contest ends today! Fall is officially here, and with it, brings us one step closer to tax time. We're excited to announce the launch of the Tax Refund Analyzer (in beta), which can be found in the Taxes tab in COACH! The analyzer helps to identify customers who may be phased out of the Earned Income Tax Credit (EITC) and Child Tax Credit (CTC). By entering your customers' past tax return information into the analyzer, your customer will then know when they may be disqualified for the EITC and CTC, and better plan for their future. This new release also includes general bug fixes to improve your Change Machine experience, and will be rolled out automatically to all users on Monday, Sep 26, 2016. 10,000 Users on Change Machine! In anticipation of our upcoming one year anniversary of launching Change Machine, we just wanted to give a heartfelt thank you to all of you who have joined us on this journey so far. Because of you, we've reached our original goal of reaching 10,000 users on Change Machine! This is a huge milestone for us, and we couldn't have done it without you. Everyone has a financial goal. What's yours? It's summertime, and it's time to keep bugs at bay! The Change Machine team is committed to continually improve the platform. Your feedback to us has been invaluable, many of which have been included in this latest maintenance release. With a tech support median response time of 5 minutes in the last 3 months, rest assured that we read each feedback closely. So don't hesitate to reach out to us via the tech support conversation bubble (or email us at [email protected]) if you run into any issues! This new release includes bug fixes and enhancements to improve your experience on Change Machine, and will be rolled out automatically to all users on Monday, August 22, 2016. By popular demand from our users, Change Machine Release 3.3 makes the COACH platform area more accessible to Spanish-speaking customers. This new release will be available to all users on Monday, July 25, 2016. Language Preference: You are now able to set a language preference between English or Spanish for each customer in COACH. Spanish Action Plan: The Action Plan you know and love in COACH is now also available in Spanish! Spanish Dynamic Worksheet Printouts: Information that you enter into the COACH dynamic worksheets in the Goals, Assets, Banking, Credit, Debt, and Taxes tabs can now also be printed in Spanish! You may print these as a summary for your customer on what you've worked on together with them during a session. Simplified Income Worksheet: On the Income dynamic worksheet, income sources are now reorganized into two major categories: Income and Income Supports. Similar to the existing Expenses dynamic worksheet, these sections are collapsible to focus on the income types you are working on. It's time for Change Machine release 3.2! This release focuses on improving COACH and how you work with customers on Change Machine. These enhancements are available on Monday, June 13, 2016! Intake Enhancements: We've improved the intake interface when adding new customers to COACH, integrated demographics fields into the process, and made demographics fields customizable for your program! You can also now re-open the intake tabs from the Customer Details tab. Contact us to customize demographics for your program or opt out of demographics tracking. Meetings Tab Enhancements: The Meetings tab is a record of all interactions with your customer. With the new release, you'll never forget to add a new meeting or activate an old meeting again! Helpful alerts have been implemented to guide you through the process. This month, we're focusing on all things related to fintech! A portmanteau of financial technology, fintech is often described as being disruptive to the traditional financial services industry. As technology continues to improve our lives, the same cannot be said with the gargantuan maze that is the traditional bank's backend systems. Change Machine is an example of a fintech platform, whose focus is making financial coaching easier for practitioners. As social service agencies continue to embed financial coaching into their services (for instance, for groups advocating for domestic violence survivors, formerly incarcerated people, job-seekers, the undocumented, and more), the more working poor individuals can be positively impacted and in turn, achieve financial security. In our 2nd annual survey, financial coaches and managers alike generously shared their feedback about Change Machine. Practitioners mentioned that our content in LEARN helped them to prepare for financial coaching, how COACH eased their coaching sessions, yet others love how they can ask coaching questions to an entire community of professionals on SHARE. We're excited to kick off Change Machine's development in 2016 with Release 3.1! We’ve been hard at work improving the core infrastructure that runs Change Machine. This sets up the platform to run more efficiently with even fewer bugs, while preparing ourselves for an exciting year of new development. This new release will be available to all users on Monday, May 9, 2016. While much of this work is on the backend, there are also a few new features on the frontend for all of you! SHARE Redesign: We're propelling ourselves to the future! Your SHARE experience has been reimagined with a beautiful, modern user interface, allowing you to ask questions and view discussions easier than before. Mixed Access Levels: Organizations can now have users with various access levels on the same organizational account! While previously this was not possible, you can now have any combination of Basic, Community, Coach, and Manager access levels in a single organization. Collaborate on Customers Across Organizations: Do you have partner organizations on Change Machine as well? Now, customers can be handed off from one organization to another to receive all the services that they need! The receiving organization will then have access to information that has already been entered, allowing them to immediately get the fullest picture of the customer. Customer Management: For those with access to COACH, working with customers has never been easier. In this release, we've re-enabled the automatic duplicate customer check, restored the ability to delete customer records and made it easier to change the Primary Coach. January 25-29 is Tax Identity Theft Awareness Week, hosted by the Federal Trade Commission. We are grateful FTC is bringing attention to this important issue. We were honored that a special guest presenter from FTC joined the Credit Builders Alliance and The Financial Clinic to discuss best practices and answer questions on identity theft. View the presentation here. FTC just announced the launch of IdentityTheft.gov – the federal government’s free, one-stop resource to help people fix problems caused by identity theft – now making it easier for victims of identity. Hi there Change Machine Community! After more than a year of development, Change Machine 3.0 is here! It will be available to all users on Monday, December 21, 2015. Manager Portal MANAGE: Formerly called the Manager Portal, the special area of Change Machine that supports managers and network users with program management and evaluation has been totally redone. Check out MANAGE with guided organization setup checklists, Manager Toolbox, and dedicated Data Portal. LEARN Badges and Certificates: Your hard work on the quizzes in LEARN deserves to be recognized. Now, you can show off your new financial coaching knowledge with a printable certificate and an acknowledgement on your LinkedIn profile. COACH Dashboard and Metrics: New charts and statistics provide coaches with insights into their caseload and performance. Reporting is no longer just for managers! Customer Collaboration: Collaborating with your colleagues has never been smoother. Change Machine now makes it easy to see who is a customer's primary coach and who the customer met with at each meeting. I’ll never forget my first day in the field: April 14, 2008. I was at a credit union in the South Bronx and it was the second to last day of tax season. It was my first time leading a coaching session and I was understandably nervous. When my first customer arrived at the reception desk, I grabbed a blank action plan, pulled up my favorite bankrate.com calculator, and took a deep breath. The first challenge is what I like to call the “knight in shining armor” syndrome. We fall into the trap of thinking if we do not know ALL of the answers right NOW, we have somehow failed to serve our customers. The truth is, there is so much information out there that changes all the time, not to mention that each person’s life is unique and complex. Not every obstacle requires the same action plan to overcome it. Also, as coaches, we are working with customers to achieve behavior change. The reality is: Change takes time. So no need to charge in on a white horse. Programs struggle to identify the “right” training, the “right” curriculum, the “right” tools, the “right” outcomes to measure… and when they make one or even all four of these decisions... they often still struggle with the “right” staffing configuration and the “right” tracking system. What compounds the problem further is that even with the most perfectly executed implementation plan, nonprofits often experience high turnover. I’ve seen many instances of the financial coaching supports leave with the staff that were trained to provide those services. Organizations need a more accessible and sustainable way to incorporate financial security strategies into their programs. An overlooked challenge I often see (and experienced) is that discussing money is still a social taboo. The discomfort factor that many of us feel about our own personal finances is very real, and this can create a serious barrier to putting financial coaching strategies into practice with customers. Practitioners need to plug into a network that destigmatizes this issue and makes financial conversations less daunting. 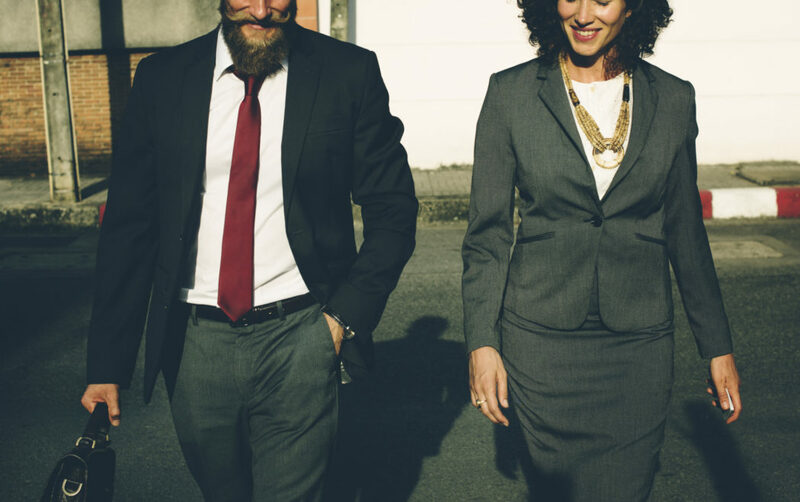 By providing an outlet for practitioners to easily reach one another for support and encouragement, practitioners grow confidence in incorporating sensitive financial discussions into their work with customers too! These problems are real, but they are not insurmountable. 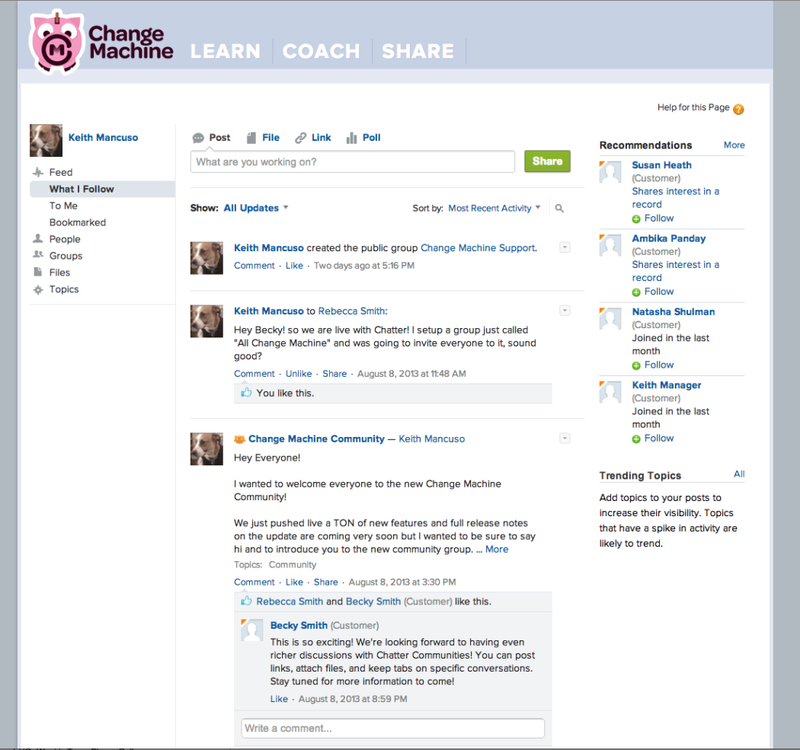 We built Change Machine to better serve coaches and practitioners everywhere. There is tremendous excitement about the power of using a “coaching” approach with customers, and Change Machine provides the tools that make financial coaching come to life. The platform arms coaches to identify decision making moments that leverage the information they uncover in a meeting and puts “bumper lanes” in place to ease stressful sessions. Practitioners have a mega-resource at their fingertips ㄧ a coaching companion ㄧ to support customers to achieve their goals through personal commitments and action planning that sticks. We built Change Machine to better serve programs far and wide. Change Machine houses a financial security framework that has been rigorously evaluated and promotes lasting behavior change. We wanted to make real-time information accessible to everyone at the organization so teams are not only focused on using data to increase funding opportunities, but to have robust conversations and water-cooler chats about their compelling customer stories. Programs are one-click away from data and metrics designed to provide practical insights and actionable information to ultimately improve services. Change Machine is built by practitioners for practitioners. It represents the field of professionals on the frontlines of poverty alleviation efforts. We built Change Machine to better serve our fast-growing field of practitioners and elevate their voices. Change Machine is not only a peer-to-peer support system, but the conversations that take place can inform research, as well as fuel policy and advocacy efforts. 4 years in software development, 10 years in the making! Last week marked a very special milestone in The Financial Clinic’s history: The public launch of Change Machine. We thought the best way to celebrate was to declare October 15th – exactly six months before “tax day” – as National Financial Goal Day. Financial goals are the single-most powerful indicator of whether the Clinic is accomplishing its mission, so the day also marks the launch of a movement that captures the very essence of our work and what Change Machine is all about! With Change Machine Release 2.9, getting started on Change Machine has never been easier. It will be available to all users on Monday, October 12th, 2015. Getting Started Checklist: A personalized checklist guides you through the first steps of success on Change Machine. Will you check them all? New Profile Page: Your profile is your face in the Change Machine Community. Upload a profile picture and let the community know who you are. New COACH Design: We refreshed the customer intake process and customer dashboard designs. Everyone has a financial goal. What’s yours? On 10/15/15, The Financial Clinic will host the first Annual National Financial Goal Day, a celebration across America to launch financial goals! The celebration coincides with the public launch of Change Machine, and will feature events online and in-person. All changemakers who register for an event will receive a FREE Community License on Change Machine through the end of the year. Details below. The Financial Clinic advocates that no financial goal is too big or small. With over a decade of experience empowering thousands to achieve their goals, the Clinic has seen firsthand the value of goal setting in building financial security and improving financial mobility--Clinic customers have set hundreds of financial goals to save over $42,821,199 in resources and assets. Having actionable financial goals are the driver to moving from financial insecurity to lasting financial security. The Community License provides access to a professional, social network connecting practitioners to a peer-to-peer support system of front-line staff, advocates, supervisors and financial coaching thought leaders. Enjoy 24/7 access to a network of colleagues with a shared passion for improving their customer’s financial security. Post your questions and comments. Give and get actionable advice. Visit here to learn more about The Financial Clinic. The financial coaching strategies on Change Machine have been rigorously tested, showing significant evidence of impact. In short, financial coaching helps build financial security. No matter where you are, we encourage you to develop a financial goal and LAUNCH it on 10/15/15. The newest Change Machine release introduces a customized landing page for all users and new levels of customer tracking in COACH. It will be available on Monday, September 7th, 2015. Landing Page: A single location to easily access all the important features of Change Machine. Browse important announcements, complete lessons in LEARN, ask a question in SHARE, or create a new customer profile in COACH, all from one place! Meeting Notes: Enter high level session notes for each meeting on the Meetings Tab in COACH. Track Customer Referrals: Does your organization have referral partners? Organizations can now customize your list of referral partners in the Manager Portal and track customer referrals using the Referrals Tab in COACH. Financial Capability Scale Survey: Change Machine has long had the FCS survey integrated into COACH. Now you can manually add a survey during any customer meeting and receive automatic prompts for follow-up surveys every three months. New Manager Tools - Customer Baseline Reports: Measure and communicate the scale and impact of your programs by tracking changes to key customer financial metrics (asset balances, income, banking costs, credit scores and debt) in the Manager Portal. The Change Machine Help Center is here! Release 2.7 takes Change Machine technical support to a new level by introducing the Help Center and more. This is the second release in a series of five releases leading up to Change Machine's public launch in October. The new release is available to all users on Monday, July 27th, 2015. Please review the release details below to familiarize yourself with the improvements. New Help Center: A dedicated site with instructional guides, how-to videos and upcoming community trainings. Enhanced Customer Reporting: Managers can now easily measure customer asset balances, income, banking costs, credit score and total debt changes. Clock Your Meetings: You can now keep track of time spent on the various sections in each meeting. Enhancements and Bug Fixes: Improving Change Machine throughout the platform. Thanks for all of the feedback! We're excited to share Change Machine Release 2.6 with all of you. This release will deliver a new level of tech support features and improvements to the COACH section of Change Machine. This is the first release in a series of five releases leading up to Change Machine's public launch in October. The new release is available to all users on Monday, June 8th, 2015. Please review the release details below to familiarize yourself with the improvements. Register Here for a virtual Q&A event on Thursday, June 11th at 3pm ET. We recently asked Change Machine users how we were doing and the results were overwhelming. We heard from the broad range of professionals that Change Machine supports: financial coaches, domestic violence advocates, workforce development specialists, industry experts and more. The quotes offer an illustration of how Change Machine is making “all the difference” in the way front-line staff is implementing financial development strategies nationwide. Expert support, reliability, decreased time for data entry and increased knowledge and confidence were just a few of the reasons Change Machine users gave us a 90 percent approval rating, eager to recommend us to others. As one financial coach put it, “Change Machine is a revolutionary tool that not only helps Financial Counselors but also participants as a whole.” Many practitioners highlighted how the online platform allowed them to “provide more services and resources to educate not just my clients but myself to take better financial decisions.” Participants love the “clean and user-friendly interface,” noting how “having…specific information sorted by subject areas has saved…time,” and “the printouts…are easy to understand as well as explain.” Supervisors expressed how well Change Machine tracks “each encounter with clients and the support they receive from staff.” One program manager is so excited about the “groundbreaking tools” that she plans to use Change Machine quizzes as a part of her new hire’s training. Our users’ feedback is crucial to us as Change Machine continues to grow. In just a two-week period, over 60 Change Machine users completed an online survey covering everything from training, technical support, features and ease of use. The response represented 30% of our most active users! Congratulations to our winners Mario Gutierrez of New York Legal Assistance Group, Courtney Hammond of Amity Foundation, Teresa Jackson of Sharing Life Outreach, and Daniel Townsend of Doe Fund who each received a $40 Amazon gift card for their participation. While the vast majority of feedback was positive, there are always areas that we can improve. We have an aggressive development schedule ahead of us in the next six months to continue to make Change Machine the best it can be. We will be rolling out new Change Machine releases every two months, addressing many of the challenges that our users reported. As we approach the public launch in October, look out for a new user help center and enhanced user supports. We will also be increasing the level of Change Machine customizability and enhancing LEARN, COACH, SHARE and the Manager Portal. Whether through tech support, the Ideas Group or an email to [email protected], please keep the feedback coming. It’s an exciting time here at The Financial Clinic and we cannot wait to share Change Machine 3.0 with all of you. After a few quiet months of smaller maintenance releases, we are happy to share Release 2.5 with all of you. This most recent round of improvements focused on the COACH section of Change Machine. The new release is available to all users as of Monday, March 16th, 2015. Please review the release details below. 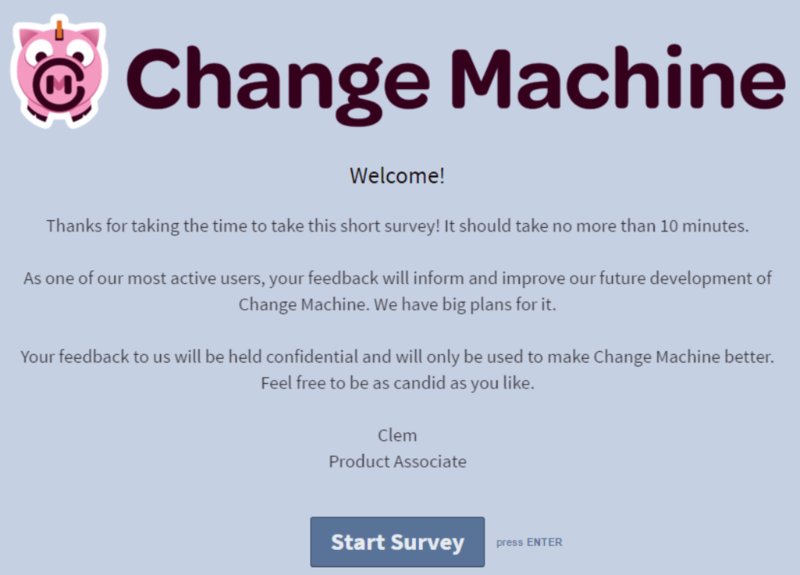 We look forward to hearing your feedback in the Change Machine Community Group. Just tag your comments with the topic "Release 2.5". Like what you see but don't have Enterprise access yet? Contact us today at [email protected] to discuss a subscription upgrade. We are so excited to share Change Machine Release 2.4 with you. This release includes updates in every part of Change Machine. The Learn section has been totally redesigned, there is a brand new Toolbox in Coach, and even Share has a fresh look! It is available to all users as of Monday, October 27th, 2014. For those of you with Learn and Coach access, be sure to watch the training videos below to familiarize yourself with the changes. We look forward to hearing how you like the new release in the Change Machine Community Group. We are excited to share some big updates to the Coach section of Change Machine. There are updates to some areas you are familiar with and brand new interactive worksheets to use with your customers. For those of you with Coach access, please watch the training videos to familiarize yourself with the updates. Every time I sit down to write about a new release I find myself saying, "This is our biggest release to date" and this one is no exception! This release has new features in every section of the site, including this blog you're reading right now. This video will show you how to get the most out of Share's most powerful feature, Chatter Community. Enjoy! This video will show you how to get the most out of Change Machine's blog. Here's the first of a series of four videos about how to use the different parts of Share. There have been some major recent upgrades to Share and we want to make sure everyone knows how to take full advantage of Share's power. Over the next week there will be videos appearing on each of these three components of Share: (1) Blog; (2) Chatter Community; (3) Ideas. 5th Release: Chatter Communities, Learn Quizzes, Revamped Action Plan and More! We are excited to share our biggest release to date. There are lots of changes to go over so let's get right to it. 4th Release: The Action Plan Live! We recently pushed up another big release and we wanted to let you all know about the changes. 3rd Release: New Public Site and Change Machine Schwag! We're debuting Change Machine at Center for Financial Services Innovation's (CFSI) 8th Underbanked Financial Services Forum in Miami! 2nd Release: New Navigation, Personalized Tipsheets, and Spanish Translations! Hey everyone, we just pushed up our latest release and I wanted to take a few minutes and let you know what's changed. 1st Release: Learn Action Pages and Share Support! We are excited to announce that we just pushed the lastest release of Change Machine Beta live. Thank you to everyone who has been using the system so far and providing your feedback. We hope to continue these releases once a month, so please continue to provide feedback and ideas!